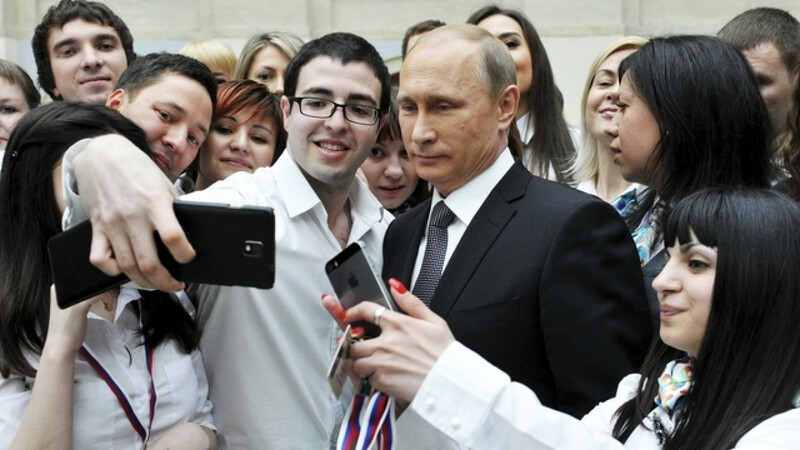 Russian President Vladimir Putin poses for a picture with call centre employees after a live broadcast nationwide call-in in Moscow April 16, 2015. Russia has key interests in common with the United States and needs to work with it on a common agenda, Russian President Vladimir Putin said on Saturday in a television interview. 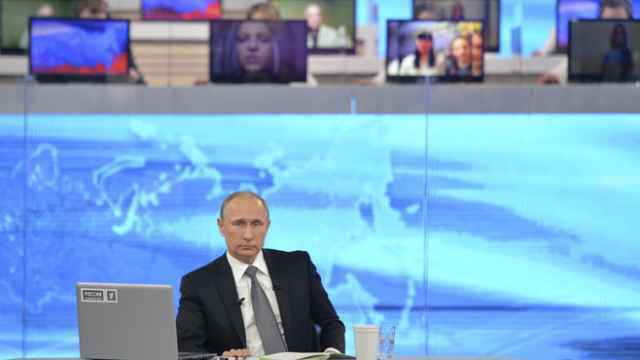 In his comments to the state-run Rossia channel, Putin appeared to soften his anti-American rhetoric after being highly critical. Relations between Moscow and Washington and other Western powers have soured over the conflict in Russia's neighbor Ukraine, sinking to an all-time low. "We have disagreements on several issues on the international agenda. 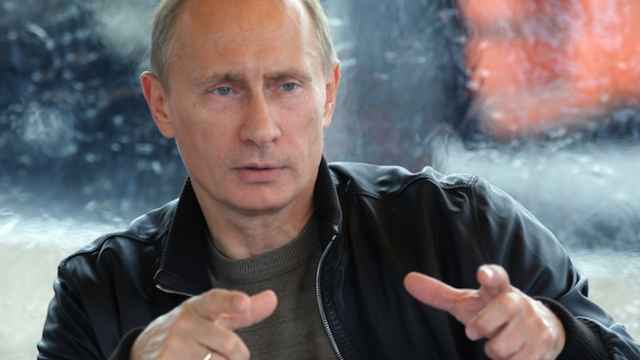 But at the same time there is something that unites us, that forces us to work together," Putin said. "I mean general efforts directed at making the world economy more democratic, measured and balanced, so that the world order is more democratic. We have a common agenda." 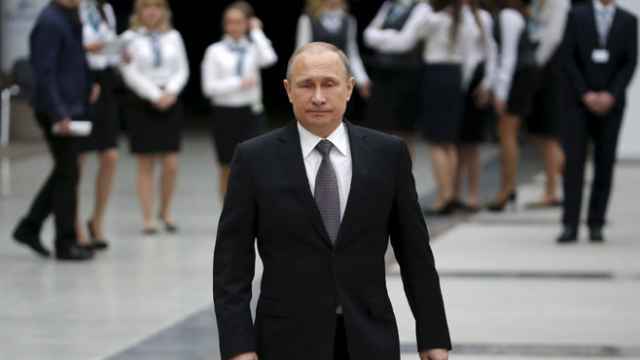 Putin has in the past fiercely attacked the United States and the West in general, blaming them for the Ukraine crisis, which Russia says was the result of a Western-backed "coup" against Ukraine's former leader Viktor Yanukovych. His latest remark comes two days after an annual television phone-in show in which Putin accused the United States of trying to dominate world affairs, saying it wanted "not allies, but vassals." However, his criticisms of the West were more moderate than in some previous appearances. However, both Russia and the West say they back a peace deal agreed in Minsk in February, as a result of which a cease-fire in the Donbass region is largely holding.